On a space shuttle spinning high above the earth, a dedicated crew embark upon a difficult, dangerous and vitally important quest. Assembled from around the world, their efforts will not only save the planet they call home, but change the shape of history — if all goes according to plan. 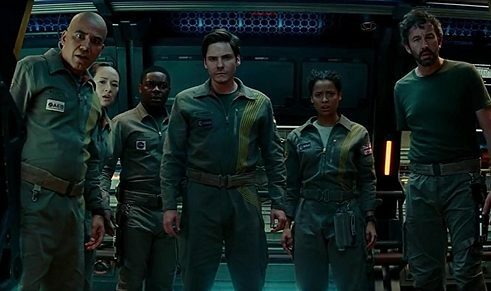 That’s the premise ‘The Cloverfield Paradox’ commences with, one that many a science-fiction film has previously explored in various similar guises. Also more than a little familiar is the drama that follows, with the eclectic group soon adding basic survival — in the confined space of their intergalactic vessel, as something unusual poses an unexpected threat — to their mission. Indeed, where the Julius Onah (The Girl Is In Trouble)-directed, Oren Uziel (22 Jump Street)-written movie goes, it does so in a well-worn rather than bold fashion. 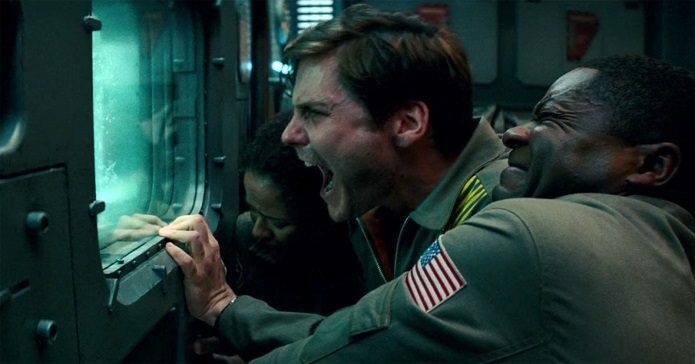 In The Cloverfield Project, the interstellar astronauts and scientists of the Shepard — comprised of Hamilton (Gugu Mbatha-Raw), Kiel (David Oyelowo), Schmidt (Daniel Brühl), Monk (John Ortiz), Mundy (Chris O'Dowd), Volkov (Aksel Hennie) and Tam (Ziyi Zhang) — initially endeavour to run a pioneering particle-accelerator experiment. Then, they navigate the consequences when their actions send them to an alternative universe. Among their subsequent dilemmas: Hamilton’s grief-fuelled backstory, which dictates her choices; suspicions of sabotage among nationalistic lines, with fingers quickly pointed Schmidt’s way; and the mysterious role of Jensen (Elizabeth Debicki). Hamilton aka Gugu Mbatha-Raw | © Netflix Space may be infinite, but the tales filmmakers keep setting within its inky expanse all seem to leap from a small pool of scenarios. 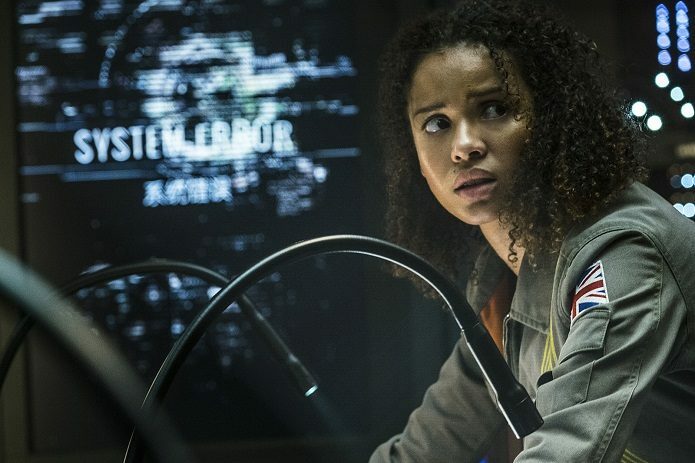 As The Cloverfield Paradox unfolds, it treads in the footsteps of everything from Solaris, Alien and Event Horizon to Sunshine, Moon and last year’s more successful genre exercise Life. In the process, it never manages to capitalise upon its impressive cast, or offer much more than a mildly diverting imitation of its predecessors. Modest thrills intermittently eventuate, as do a few standout scenes — as seen in rogue limbs and other body horror shocks, primarily — however the film putters along rather than soars. That said, contemplating The Cloverfield Paradox’s place within the franchise it’s named for, the movie’s broader ambitions still intrigue — even if the end result proves generic, and far from successfully realised. The third instalment in the series, it’s not a low-budget knock-off of bigger, better previous fare, nor is it an effort put together without aesthetic flair. Made for the big screen with a mid-tier budget, Onah’s feature roams the Shepard’s hallways with cinematographer Daniel Mindel’s confident assistance, the latter bringing his experience on Star Trek, Star Trek Into Darkness, John Carter and Star Wars: Episode VII — The Force Awakens to another space adventure. The film’s polish speaks volumes; it can’t add a glossy sheen to the routine narrative, but it does add another visual realm to the Cloverfield saga. Facing a problem | © Netflix And, it adds another part to what’s becoming a Cloverfield cinematic universe, too. Though the term is often used in relation to superhero-focused fare — describing a series of different films about different characters taking place in a shared space, frequently inviting cross-overs within individual chapters and regularly staging instalments specifically around climatic team-ups — it’s this franchise’s approach as well. After commencing in 2008 with the eponymous found-footage monster movie, the Cloverfield films have continued not in the manner of directly related sequels, but by stepping into other areas of their world. Under the guidance of producer J.J. Abrams, the name evolved to encompass excellent 2016 captive thriller 10 Cloverfield Lane and now the space-set The Cloverfield Paradox. Building a film saga out of components linked in the loosest possible way is a challenging plan, and one that’s more akin to anthology and science-fiction story-of-the-week television than Cloverfield’s filmic forebears. A fourth feature is already slated, a supernatural horror spin-off reportedly set during the Second World War currently titled Overlord. And yet, as fascinating and admirable as this approach is, joining the dots has proven the series’ least convincing feat thus far. 10 Cloverfield Lane and The Cloverfield Paradox both work best as self-contained, tense forays into their chosen sub-genres, which is how each was originally conceived and scripted. In contrast, stressing their relevance to the broader Cloverfield universe feels awkwardly shoehorned in, as it clearly is. Specifically in The Cloverfield Paradox, using clips of a conspiracy theorist explaining the movie’s title, intertwining sequences of Hamilton’s doctor husband Michael (Roger Davies) coping with the fallout on earth and making the connection blatantly known in the feature’s closing moment all test viewers’ patience. The above would remain true regardless of how The Cloverfield Project made its way to audiences; though not without its moments, looking the part can’t patch over the movie’s derivative tendencies, and nor can the franchise’s attempted scope excuse its clunky method of piecing together its overall puzzle. Releasing the film without notice, as part of a bombshell Super Bowl move that saw Netflix reveal the film’s first trailer and make the feature itself available within hours, places its struggles under a microscope, however. 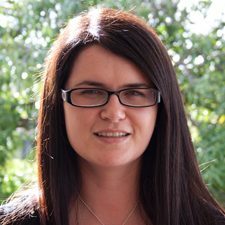 It’s a game-changing tactic, disrupting the established pattern of pre-release movie marketing, and — in a more significant strategic play — packaging the film’s swift shift from planned cinema screenings to a worldwide streaming platform as something other than a lack of confidence in its box office prospects. It’s also one that has increased awareness about the movie, and likely expanded its viewership, though a mixed experience at best greets Netflix users as they settle in for the latest Cloverfield effort at home.